Stem cell transplant is used as a treatment of last resort in young patients with acute lymphoblastic leukaemia (ALL) whose disease has failed to respond to or relapsed after chemotherapy. Only half of patients undergoing transplant are cured long-term, and disease relapse is the major cause of treatment failure. Professor Amrolia is pioneering the development of a new immunotherapy approach to treat relapsed ALL. If successful, this should not only improve survival but also reduce toxicity and improve quality of life for children with this disease. Although the great majority of children and young adults suffering from acute lymphoblastic leukaemia (ALL) are now cured, approximately 35 such patients in the UK still die each year from disease. Just as importantly, many of those cured suffer significant short- and long-term side-effects from the intensive treatments used. Our traditional approach to treatment relies on chemotherapy in the first instance. For patients who relapse after chemotherapy, doctors rely upon stem cell (bone marrow) transplant (SCT), in which patients are given very high dose chemotherapy combined with radiation treatment to eradicate as much of the leukaemia as possible. This is followed by a graft of healthy donor blood stem cells to replenish the patient’s immune system. The donor immune cells present in the graft have a beneficial effect known as “graft versus leukaemia”, recognising and eradicating any residual leukaemia. Sadly SCT is not a panacea. It only works in 50 of every 100 cases. Of the remaining 50, 10 to 20 children die from toxicity due to the transplant and the rest from disease relapse. At present children who have relapsed after SCT have no curative option and almost all will die of disease within a year. It is now clear that the level of control of the disease immediately prior to SCT is the critical determinant of the risk of relapse following the transplant. Relapse occurs in 70 per cent of patients who have pre-transplant levels of residual disease greater than 1 in 1,000, which is common in patients with aggressive disease. There is now a potential solution to this problem – this is known as “Chimeric Antigen Receptor therapy”(“CAR therapy”). In this exciting new approach, gene therapy is used to increase the ability of immune cells known as T-cells to recognise leukaemic cells. There have already been encouraging results from trials of the technique in the US, where more than 90 per cent of patients with ALL have responded to treatment and some have achieved long-term remission. There is wide agreement that CAR therapy is the most exciting development in ALL for many decades. Parallel CAR protocols have been developed in the UK but these use so-called first generation CARs which are much less effective than the second generation technology used in the US. This problem is compounded by the fact that the US CAR technology has been patented by drug companies and is not currently available to patients in the UK. Professor Persis Amrolia is now pursuing the rapid development and clinical trial of a second generation CAR in the UK, with partnership funding from Children with Cancer UK and Great Ormond Street Hospital Children’s Charity. Critically this study will determine if the responses to CAR T-cell therapy are long-lived and could thus avoid the need for stem cell transplant and its attendant toxicity. This project will enable the development of second generation CARs to benefit young patients in the UK. It will take these CARs to clinical trial to test their safety and efficacy. This is expected to happen within 12 months, offering one last hope to patients who have run out of all other treatment options. If this new technology is successful and the responses observed are durable, this may avoid the need for stem cell transplant in patients with ALL, reducing toxicity and improving quality of life for young survivors. 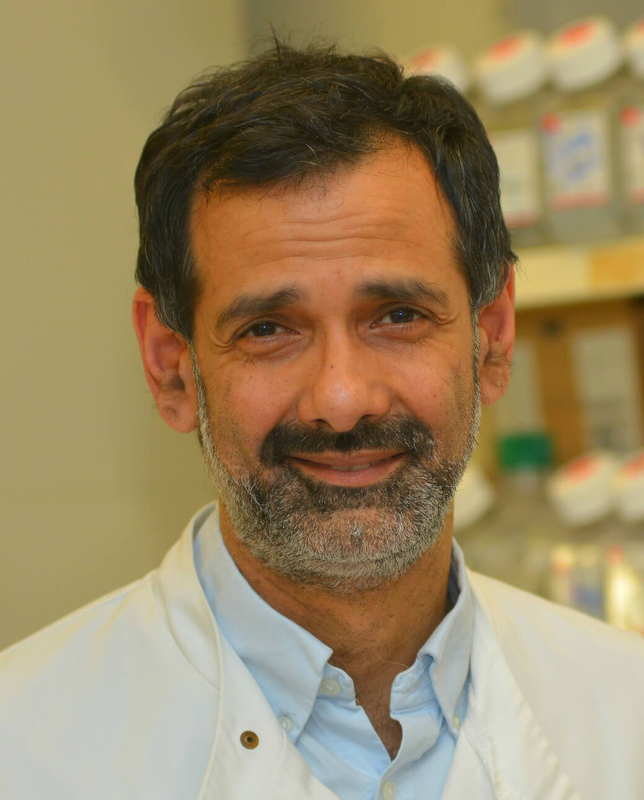 Professor Amrolia is Professor of Transplantation Immunology at UCL Institute of Child Health (ICH) and Honorary Consultant in Bone Marrow Transplant at Great Ormond Street Hospital (GOSH) which has the largest paediatric SCT programme in Europe. He is collaborating with colleagues from within GOSH, UCL and other centres around the UK to ensure the success of this project.